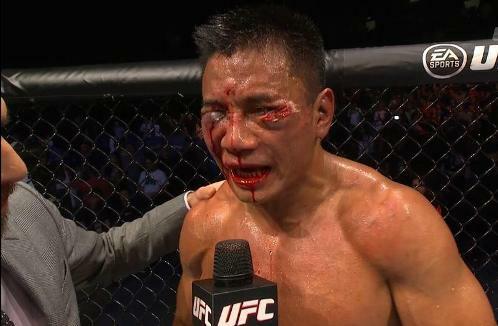 “GUGH NGNUMPH AAUUGG!” – Cung Le’s post-fight interview. PVP is fun. It’s even more fun when it’s in-game, due to the lack of broken things like skin, teeth, and bones. The level of brain damage that can result is arguably comparable. Master Rokk here. The Highmaul Coliseum is a PVP feature that is unlocked when you reach Level 3 with your Gladiator’s Sanctum. Basically you’re thrown into a big pit with a bunch of other players and have to fight it out, “last player standing” style. There’s thrills, gear, titles, achievement, and all types of wonderful violence and mayhem. Zumio, he of my last couple of posts (so click there to get to his Youtube channel) has created yet another helpful video. This one outlines a strategy for winning the Highmaul Coliseum. “Easily” win it, he claims. I don’t see it as easy, but it is definitely doable and will not cause me to suffer excessive blood loss. Therefore, I am down with his line of thinking. Be that guy (or gal). Be the one to help me someone else out. Posted on January 5, 2015, in Tips and tagged Gladiators Sanctum, Highmaul Coliseum, PVP, Zumio. Bookmark the permalink. Comments Off on The Highmaul Coliseum.